A body washes up on a lonely stretch of beach. A fire in a methamphetamine lab devastates an apartment building. A car accident claims the life of a driver during her trip home. These are all potential crime scenes. By conducting a systematic examination of these areas, crime scene investigators uncover the physical evidence to help identify what happened and who was involved. This process must be conducted carefully and thoroughly to ensure that crucial evidence is collected and fragile evidence is not destroyed in the process. 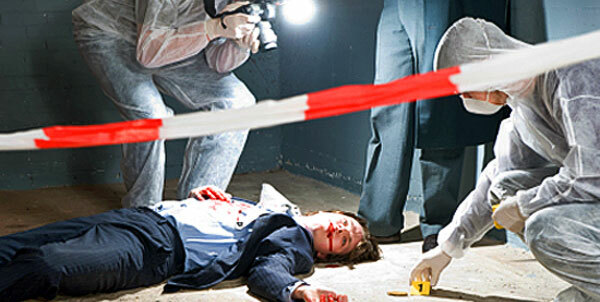 At a scene, the case investigator and crime scene personnel work together to: define and secure areas that may contain evidence; examine and document the scene; collect physical evidence; and preserve, package and submit the evidence to the laboratory for analysis. With these key pieces of evidence, the investigator can attempt to reconstruct the elements of the crime. The more thorough the crime scene team is at conducting its job, the more likely it is to accurately determine the facts of the case. The quality of the evidence and the manner in which it is handled will also impact the ability of the attorneys to argue the facts of the case and ultimately the jurors’ ability to come to conclusions regarding guilt or innocence.